Has it been a while since you've had to fit a bathroom sink or is this your first basin installation? Either way, this handy 8 step guide will show you how to fit a bathroom sink in no time at all! Posted By Alan, 22nd May 2018. 9 Minute Read. What tools do I need to fit a bathroom sink? Step 1. Turn off the water supply valves. Step 2. Position your sink in place and mark it out. Jump to a section of this guide by clicking a link above. Whether you’re installing a bathroom basin from scratch or replacing an old sink then you’ll want to know how to fit a bathroom sink as quickly and easily as possible. This step-by-step guide is designed to do just that so no matter what level of DIY’er you are, we’ll help you get it installed correctly and safely without fuss! The guide basically runs through removing a basin, measuring up for a new basin and then fitting a bathroom sink. It also covers the installation of taps and waste which you will need to do during the bathroom sink install. Bathroom sinks, commonly referred to as basins, are one of the easiest items to install with the correct guide. Following this basin installation guide step-by step will ensure a correctly fitted sink whether it’s a pedestal basin or a wall hung basin which you have chosen. A pedestal basin is the most common type of bathroom sink that you'll find. It features a basin which sits on top of the pedestal. The pedestal hides the pipework behind it and they come in both modern and traditional styles. Below is a simple, yet helpful diagram to show you the typical features and design of a pedestal basin. A wall hung basin is a newer design, but it's growing in popularity year on year. This type of bathroom sink can help save on space which is perfect for a lot of smaller bathrooms. It features a basin which is mounted to the wall and some feature a semi-pedestal. The semi-pedestal helps hide the pipework behind a bit like the full pedestal design. Below is a simple, yet helpful diagram to show you the typical features and design of a modern and traditional wall hung basins. You may already have your bathroom sink with you and you’re ready to install it, but if you haven’t got one just yet then we suggest you measure up first so you know which type and size of sink you’ll need. Once you have the measurements you can then hunt for the perfect bathroom sink. You may also want to grab a bucket and an old sheet for the floor when you prepare the bathroom sink later on in the guide! If you already have a bathroom sink in place and would like to know how to replace it with a new one then you should follow the guide below. It involves removing taps and when fitting a new bathroom sink will require you to fit basin taps as well - to help you do this check out our guide on replacing basin taps here or watch this video. One thing to note is that this section of the guide is for replacing like for like basins - for example a full pedestal basin with another full pedestal basin. We recommend you using a professional installer if you’re replacing a full pedestal basin with a semi pedestal basin as you may need to reroute the pipework behind the bathroom wall so that it’s hidden from view. ● Turn off the water at the mains. 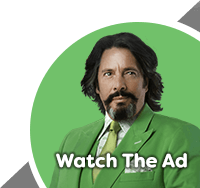 ● Disconnect the taps and supply lines using pliers or a plumber’s wrench. Have a bucket or a towel handy to catch any drips of water that may leak from the lines. ● Disconnect the drain from the sink. Look for a nut which is made of plastic or metal usually found in either the wall or the floor. Loosen and unscrew the nut with your hands. If the nut is a bit too tight then use a pair of pliers to help loosen it. ● The sink will still be connected to the wall with silicone. Using a knife carefully cut away at the silicone until you can lift the basin away from its position. ● Pull the bathroom sink out and clear the area for the new basin. Now let’s measure up for the new basin! I’ve already measured up - I want to know how to fit a new basin! Measuring up for a new bathroom sink is easy if you follow the simple guide below. Having the right size bathroom sink will make the fitting process pain-free and simple. Simply grab a tape measure and note down the width, depth and height of the area in your bathroom where you want your basin to go. If you’re doing a straight swap for an old basin, with no other amendments, you could simply take the old basin’s measurements instead to save time. Measure width and depth as normal and then measure from floor upwards towards the height where you want your basin to be. The pedestal should hide all of your pipework from view. Measure width and depth as normal and then work out what height you’d like your wall hung basin to sit. A semi pedestal basin will typically need to drop down low enough to hide pipework so ensure this measurement is taken in order to get it right. Once you have all the tools you need, you’ve measured up and got your new bathroom sink it’s time to fit it. Follow the 8 steps below and as with any type of DIY job, if you’re not feeling confident about the install then get a professional in to fit your bathroom sink. Before we start fitting the bathroom sink it’s a good idea to turn off the water supply. Usually found underneath the sink, there should be hot and cold flexi-pipes which have a compression fitting - turn the screw on this compression fitting about quarter way to stop the water flow. If your taps don’t have a compression fitting then switch off the water at the mains, although we recommend you do this as well even if you do have a compression fitting. Ensure no water is coming through the pipes and continue to step 2. Put your bathroom sink in place as you would like and marke around it with your pencil. Make sure it is properly lined up first by using a spirit level to find the centre - marking a straight line vertically up the wall and out across the floor (to the height and depth of your new basin. Now take the sink away from the wall and lie it on a protective sheet on the floor - be careful not to damage it. Continue to steps 2 and 4 to install your basin taps and waste. If you’re fitting a wall hung basin then it should be okay to attach to the wall, but if it’s a weak wall or a partition wall then you could use a wall hung basin frame to secure it properly. This may take a bit of work and we advise you to use a professional for this part. Note: If you’re drilling new holes or fitting a bathroom sink to a new position in the bathroom, make sure to check for any cables or pipes hidden behind the wall. Installing the taps to your basin is pretty straightforward really. If you’ve bought new basin taps for your bathroom sink then you can use the installation guide provided with them. If you have no instructions or you’ve decided to keep your old taps then continue reading for our simple guide. Fit the threaded post to your tap and then insert the tap into the basin hole, so your tap rests on top of your basin, with the thread poking out below. Use the washer to make sure the tap sits snugly. Screw the nut firmly onto the post and this will ensure a tight connection. Finally connect the flexi-pipes. 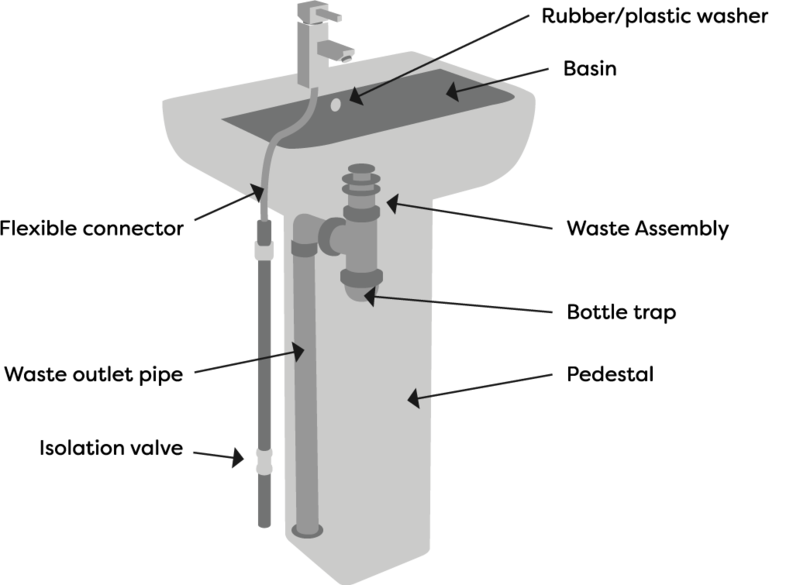 You can find a step by step guide here for a more in-depth look at installing basin taps. Insert the waste into the plughole. For a bathroom sink that has an overflow it pays to remember the direction of the overflow cutout on the waste. Make sure these line up with the hole inside the basin plug hole at the end. Now take your silicone and seal in the thread of the waste and then apply the washer for a tight fit. Take the new nut and screw this on to the thread. Remember to ensure the overflow holes are lined up from waste to basin. Inserting a screwdriver down through the plughole to prevent it from moving out of sync (definitely no pun intended here I promise). Now connect the waste to the trap and make sure it’s tight. Secure your basin to the wall with using the fixing kit provided. Line up your pedestal to the wall first ensuring that it is where you originally marked it out. Then take the basin and gently sit it on top of the pedestal. Looking under the basin you should see that it has lined up well with the front of the pedestal. If not, carefully adjust the position and once you’re happy check that it’s all level with a spirit level. Now move the basin and pedestal away from the area and prepare to add the fixing bolts. Locate the hole in the basin where the fixings go and mark these on the wall. Now drill the holes. If you’re drilling on tile then a small strip of masking tape will help the drill bit grip the tile and prevent slipping. You can also try drilling small holes first and then bigger holes after to make the process easier. Fill the holes with wall plugs provided and fit the bolts using a spanner. Line up your pedestal once more and then sit your basin on top again, but this time line up the basin holes with the bolts in the wall. Take your securing bolts and fasten them to the bolts using your hands until they’re nice and tight. It’s a bit fiddly, but stick with it. Gently give the bathroom sink a check to ensure it is all fitted correctly and it’s level and that’s the main part done. 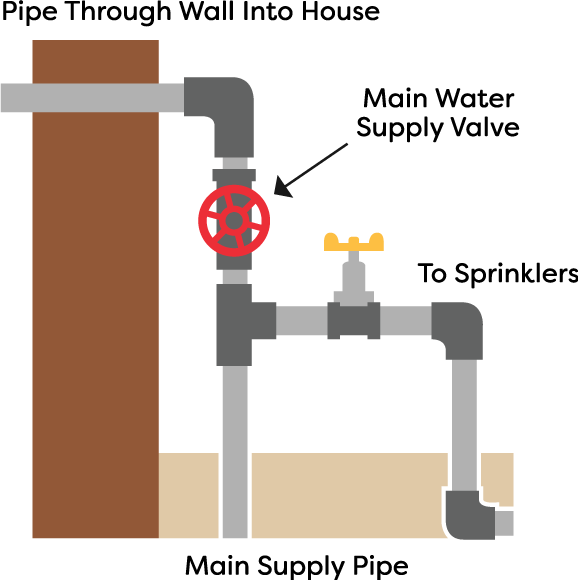 Connect the taps to the copper domestic pipes, usually with a compression fitting in between - this keeps the pressure between the two pipes regulated and safe. 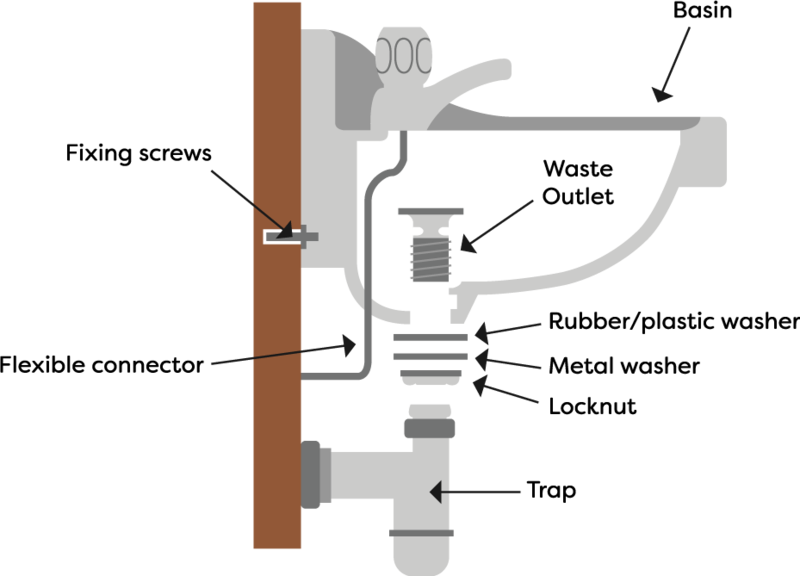 On the compression fitting, turn the screw a quarter way to enable the water flow and switch on the water at the mains if you turned it off earlier. Check that the taps work okay and test for any leaks (you may want to keep your fingers crossed here)! ...that’s it!! You’ve just fit a bathroom sink! Now that you’ve installed your basin you may want to start accessorising it. Simple things like tumblers and soap dish holders can really make all the difference. If you’ve added your old taps and they’re not a good match for the basin - you might want to think about getting some new basin taps. If you found this guide helpful and think you know somebody who it could also help please feel free to share it with them via email or on social media! If you have any feedback we’d love to hear from you too! Planning a new bathroom in 2018? Discover the top bathroom trends for 2018 in this expert guide from Victorian Plumbing.